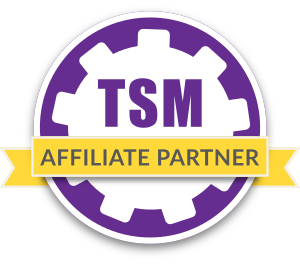 Today I will be taking a little dive into TSM to show you how you can use it to calculate the monthly profit from an item. It won’t be 100% correct, as we will have to make assumptions, but it should give a nice estimate. To do this we will have to use a bit of math. To find the monthly profit of an item we need to know how much profit we get per sale, and how many sales we make on average in a month. Then we just need to multiply those two numbers and Voila, we know the monthly profit. 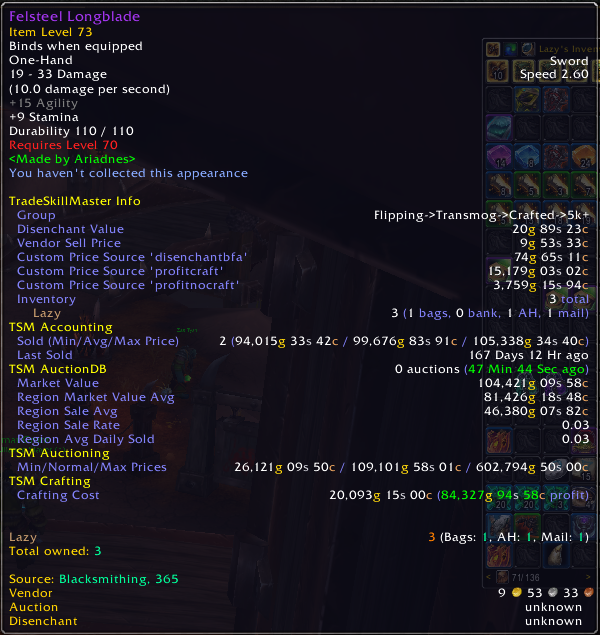 TSM4 Custom sources is the absolute best way to do this. We can make some custom price sources that uses the TSM data. This will give us access to the price, the crafting cost and the average number of items sold per day. We can use these to make the necessary assumptions. We will have to assume what percentage of sales we can get, and I will just use 20%. It does not matter in terms of ranking items as it will not vary between items, so we could just omit it, but this makes it closer to the real monthly profit. The main thing this formula will do is give you a measure you can compare across items. The higher this number is, the more profitable the item will be. There are several ways to calculate your profits, and it will vary quite a bit between markets. I suggest using dbmarket-crafting for crafted items and another source with 20% dbmarket for flipping markets. I generally aim for a 20% profit margin when flipping, so this should be a good estimate. Since non-crafted items don’t have a crafting price source dbmarket-crafting will show up as invalid. Based on this we get two custom sources. 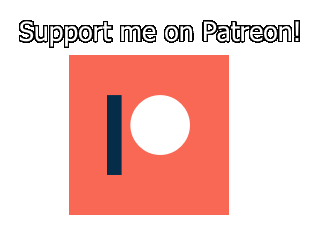 I’ve named them profitcraft and profitnocraft to make them understandable. They are as follows. So let’s take a quick look at some items. I’ve added both sources to my tooltips, so I can easily check them in-game. For a more thorough analysis I would probably do the same math with the TSM API data dump. Felsteel Longblade is a high value transmog item. It sells slowly, but the current profit margin is massive, making it fairly profitable. 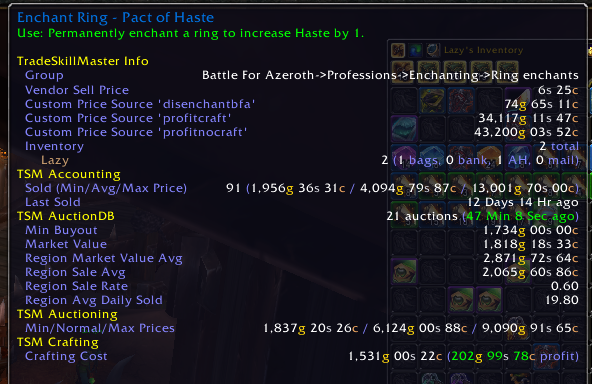 Pact of Haste is the highest selling BfA enchant by far. The huge sale rate makes it very profitable by this formula. Quick Owlseyes are the most profitable of all of these. Once again the sale rate has a huge impact on the total monthly profit, as the actual profit per sale is much lower, but it stacks up over tons of sales per day. 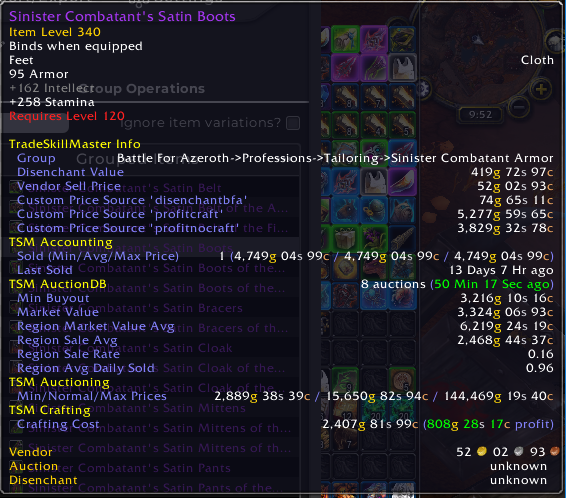 Sinister combatant’s satin boots have a lower sale rate at 0.96. 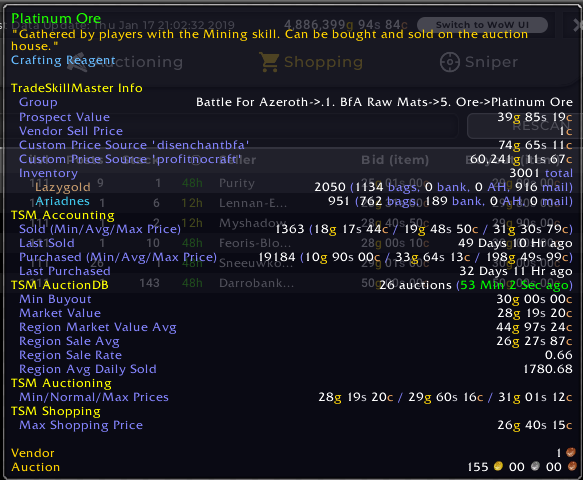 The formula assumes you will sell one every 5 days, which gives it a monthly profit of about 5.2k gold. Still pretty good though. For flipping markets there are a lot of them that don’t have daily sold numbers. All the materials do however, so we can easily look at some of them. Below you can see that the profitability of both stringy loins and platinum ore is very high. Here the market value will also have a significant impact. 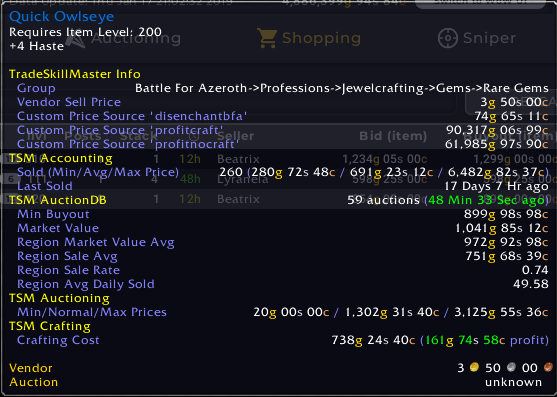 profitnocraft will definetly overestimate the profit you get as you will not probably not be able to find 20% of the region sold per day every day to move that amount of stock. It will still rank items correctly though. 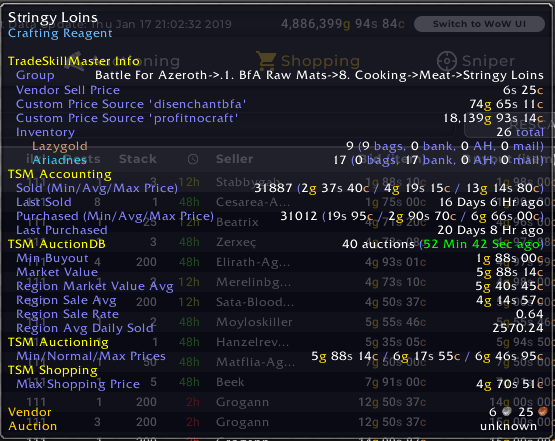 As we can see platinum ore is likely better than stringy loins. Think is wonderful information, thank you! Can you explain why these custom value sources only show on the tooltip for certain items? For instance, profitcraft doesn’t populate on my Sinister gear, but it does on my alchemy pots (but not flasks). Profitcraft shows up for anything with a valid crafting source. For sinister gear the culprit is probably expulsom value, which you have to set manually on the crafting reports tab of the crafting window. You can get there by typing /tsm crafting.